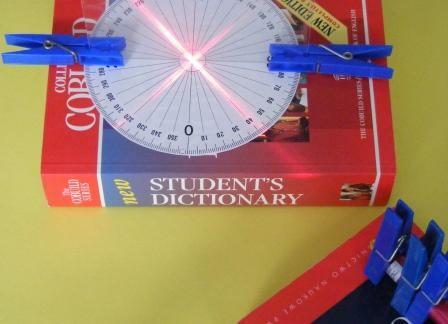 The advent of low-cost lasers, like laser-pointers or laser-levels, allows us to experimentally verify in classrooms values of refractive indices quoted in textbooks! 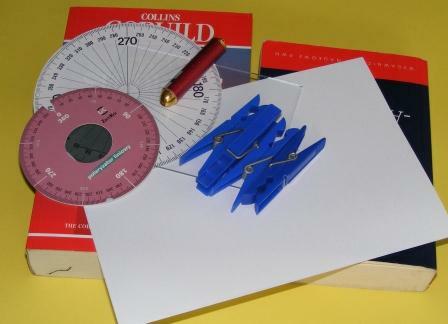 We have prepared 2 exercises in which students can measure a value of a refractive index by themselves with use of a diffraction grating and a polarizer. Never put the laser beam in direction of eyes! Laser beam can permanently damage vision! 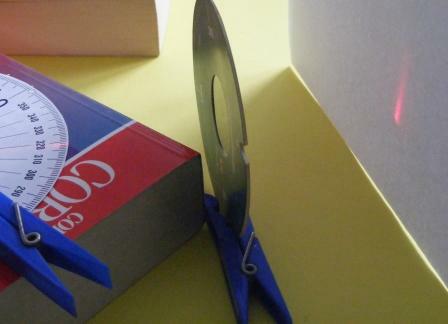 book (to be used as a stand for laser). 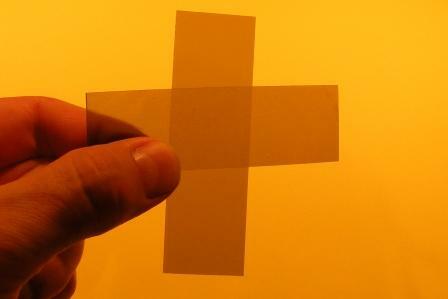 Cut a part of a tracing paper with scissors and stick it to one of the external walls of a vessel. To the opposite wall stick a diffraction grating. 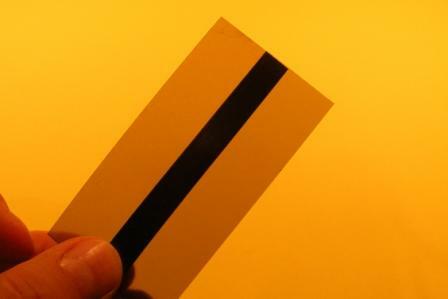 The higher number of slits per 1mm in a grating, the bigger is the angle at which an interference pattern will be visible (one can have doubts about a possibility of comparing values of sinus and tangent of the angle at which the pattern is visible). Nonetheless, the obtained pattern shall be sharper, so defining its location will be easier. Fig. 2. Preparation of a vessel for an experiment . Into a ready-made vessel pour water or other liquid which refractive index you want to measure. Place laser in such a way to make its beam go through the liquid and mark on the screen location of a zeroth order fringe and two fringes of the first order. Change the height of laser to make its beam go above the liquid surface. Again mark location of interference fringes. 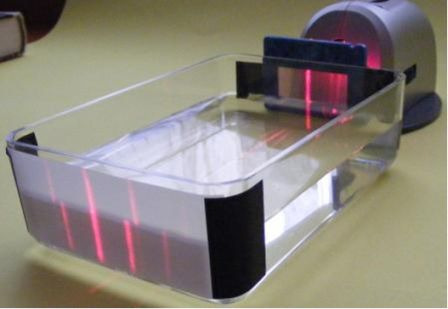 Distances between the first order fringes marked on the screen should be shorter when laser beam goes through water than when it goes through air. 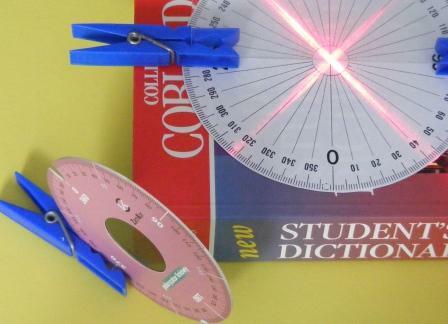 It is better visible when you use a laser level (a product available in construction shops) instead of a laser pointer. According to our measurements, value of refractive index of water is 1.29. The value does not diverge much from values listed in tables, that is 1.3.
a lot of patience . Fig. 8. Parts of experimental setup. 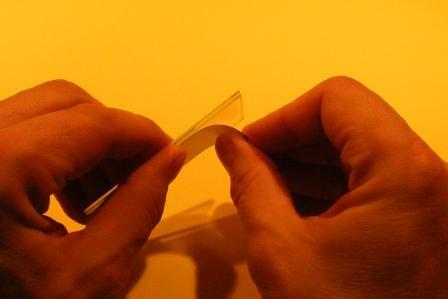 If you don't have a ready-made polarizer you can obtain it from a calculator or mobile phone display (the process of obtaining polarizer will destroy a device irreparably, so it is recommended to use for that purpose a device that is definitely out of order). 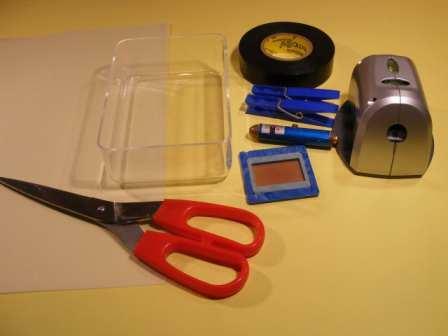 For that purpose you shall disassemble a display and remove from it two polarizing foils. With use of clips for clothes put a glass pane under research vertically. Put an angle-meter under the glass pane. 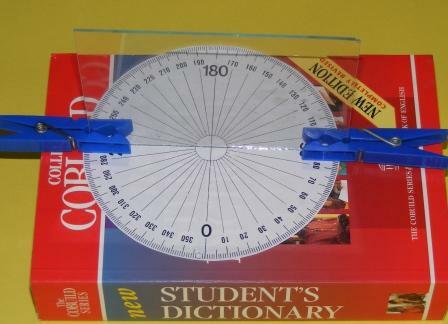 A bottom edge of the pane shall ideally coincide with the line defined with use of the angle-meter. Put laser on the second book and illuminate a glass pane with laser so that it was possible to see incident and reflected rays. Books are very useful for that purpose since you can change a number of pages on which optical devices are placed and precisely regulate their mutual setting. Put a line polarizer on the way of a reflected ray in a way which allows for its free rotation around the axis parallel to the ray of light reflected in the glass pane. Light reflected from a glass pane is partly (and in a particular case fully) polarized. 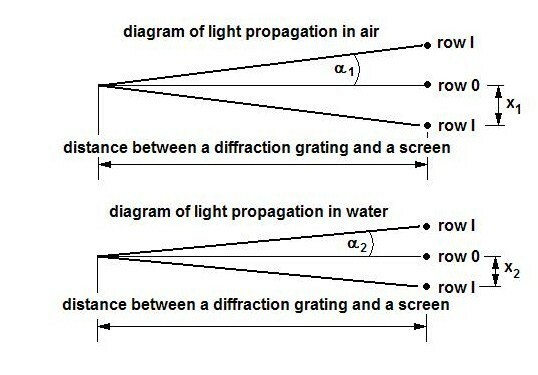 Our task is to obtain such a setting of an angle of light incidence to a glass pane and such a setting of a polarizer so that a reflected light did not go through a polarizer! Search of such setting requires a lot of patience and attention. When you succeed, you can assume that light reflected from a glass pane is fully polarized. An angle of incidence at which reflected light is fully polarized is a result of the experiment. 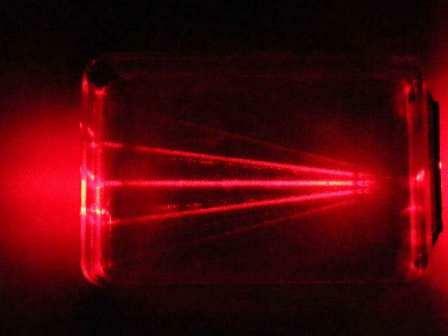 It means that in our experiment we are not interested in a refracted ray, but in a reflected ray. 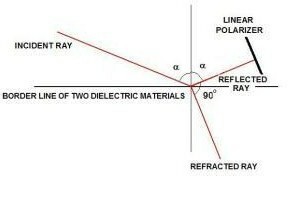 So the thickness of dielectric from which a fully polarized ray is reflected is of no importance. 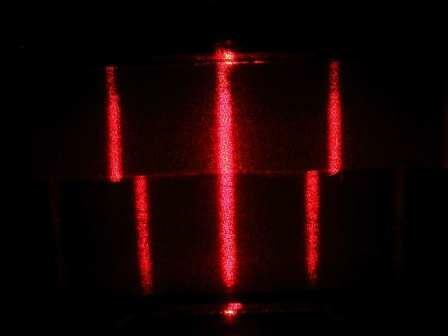 Therefore, that method can be used to measure a refractive index for a non-transparent dielectric.